The building was constructed in 1885 as a manor mill. At first grain had been milled into flour here and later yarn from lamb wool was spun. The building housed a textile factory from 1963 were yarn was also spun and wool headscarves, shawls, blankets and tapestry were manufactured. In 1992 the factory was closed down. Restoration work began in 1998 and the building was turned into a guesthouse. 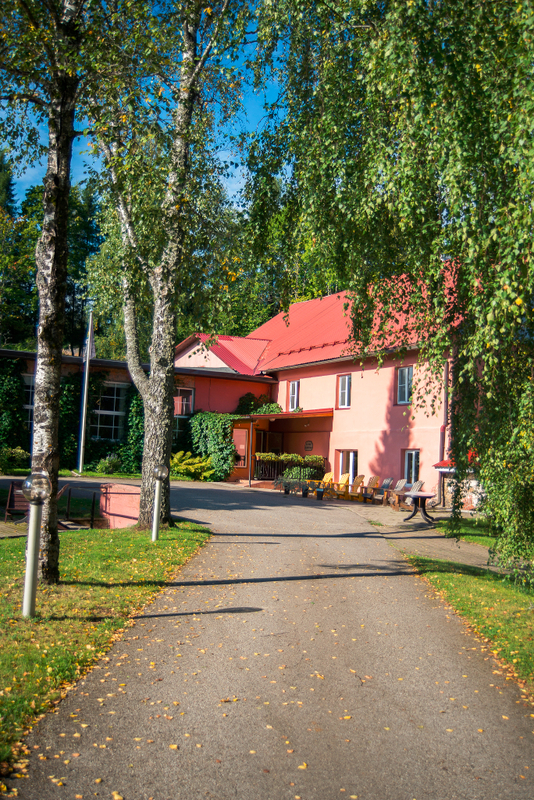 The Ala-Rõuge Guesthouse is located on the bottom of a valley, verging on one side on a steep valley slope and on the other sides – on the Rõuge River and its reservoir. This recreational area is closed for the night. The building utilises green energy as it has a hydroelectric power plant of its own.